How long have you / will you spend saving money towards a summer holiday this year? July’s poll indicated that those who are going, or did go, on a summer holiday this year have not spent more than a few months putting money aside for it. 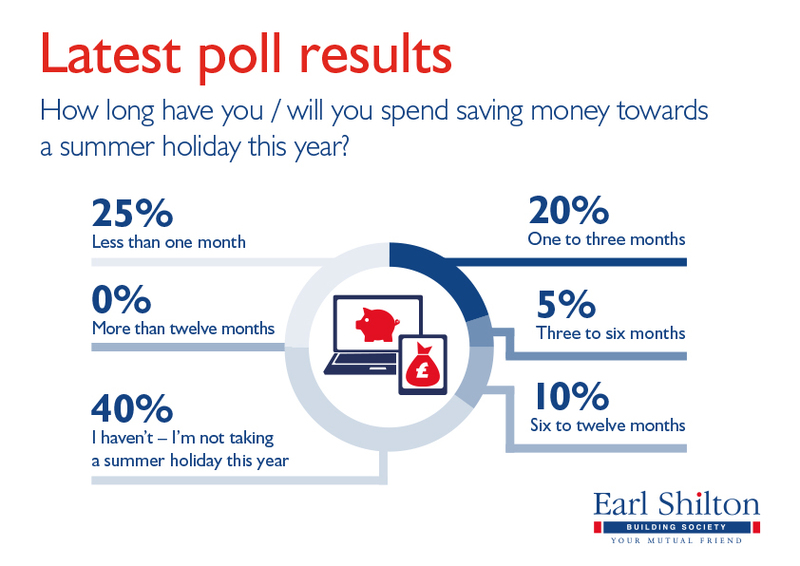 25% of those who responded to our poll had spent less than a month saving for their summer trip and a further 20% spent between one and three months building up a holiday fund. A further 40% told us they were not planning to take a summer holiday – leaving just 15% in total who spent more than three months getting their finances in order for a trip away. It may be that the rise of ‘staycationing’, fuelled by the Pound’s poor performance against the Euro, is having an impact on our customers’ saving plans. The reduced cost of taking a UK summer break could be allowing holidaymakers to begin budgeting at a later point.